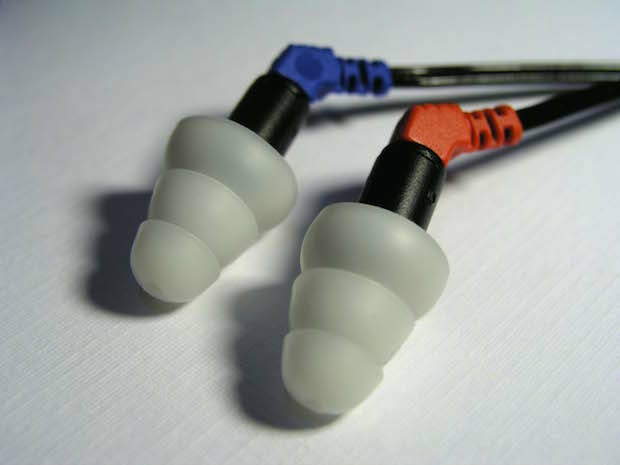 Lately, in-ear monitors (herein referred to as IEMs) have been a hot topic in the music world. As the technology becomes cheaper and consumer (and the ever loved/despised "prosumer") offerings become more prevalent in the market, everyone seems to be jonesing to make the jump. Yes, there can be a number of benefits of moving to IEMs rather than a more traditional monitor wedge/loudspeaker setup. However, IEMs are not a magic-bullet, fix-all solution. Sure, they may give you a professional appearance, but there are a number of drawbacks and misconceptions that need to be managed and addressed when trying to enter into the IEM world, especially at a "budget" price point. Here are four of the most common ones. In most cases, it'll actually magnify them. For some reason, many people who've been burned by monitor mixes onstage seem to feel that going to IEMs will fix that. The monitors in your ear are just as susceptible to the GIGO (Garbage In, Garbage Out) principle as a wedge in the floor – usually more so! Let's say, for example, that you haven't been happy with the mix on the floor, and now you've decided to go with IEMs. Now that subpar mix is directly in your ears, and because IEMs are great at blocking out surrounding noise, you now hear less of what's happening on the stage around you. Communication between musicians can be more difficult (a lot of bad lip reading and "what?!" going on), and as a result of the lower perceived volume and the lack of physical sound pressure from wedges, it can become easy to feel disembodied from not only the music, but also your audience. With no audience ambience, it can be difficult to feel connected with the crowd. Many pros mix in the signal from mics pointed at the audience to give the performers some of that back. Some higher-end IEM drivers actually have small mics on the earpieces themselves to do this, sort of the reverse of noise-canceling technology. Oh, and doing the "one ear in, one ear out" thing? A really bad idea over time. Another issue is that low-end information is hard to hear right in IEMs, as we're actually used to feeling bass more than actually hearing it. At the end of the day, making sure your monitor mix is on point before making the jump is key, as moving where the sound is coming from won't fix a poor mix. As with all things in the audio/music realm, you tend to get what you pay for. There are sometimes deals and products that have a great "bang for your buck," but nobody is out there making great gear and grossly undervaluing it. If you go for the most basic products, that's exactly what you'll get: basic results. Don't expect impressive frequency response, crystal clear reproduction, or even interference-free signal if you're going for a wireless unit. This is also true if you need to run any number of units at the same time; there's a reason touring outfits have dedicated RF techs that come in with military-grade RF analyzers to carve out their wireless setups. For the record, please don't confuse this point with blind hatred of inexpensive gear. Depending on your specific situation, these budget options may be passable for your needs. I'm merely looking out for those who feel that they're making a sincere investment. IEMs aren't cheap and are definitely an investment. That being said, the only thing worse than spending too much money is not spending enough. Putting down $1,000 for four channels of IEMs thinking you were going to get the performance and features that $3,000 would have provided will get you four figures of buyer's remorse that would have been better invested elsewhere. Unless you're mixing your own monitors onstage or you've notified the venue/sound tech for the gig ahead of time that you're bringing your IEMs, don't. Unpatching the house monitors and bringing in your IEMs on a night when there are 15-minute changeovers between acts for your 30-minute set is not only going to be cutting it close to get the mix up to what you need to properly perform, but will probably set you off on the wrong foot with your sound tech – especially if monitors are being run from the front of the house. Coordinate things ahead of time if the IEMs are a requirement for your set, as it'll be critical that you arrive early to get things set up to ensure that everything works smoothly for everyone. Slapping in a pair of earbuds doth not an IEM system make. The same earbuds you use to listen to music from your phone do not have the same features that headphones designed for IEMs do. Therefore, even if you do purchase a headphone amplifier of some sort in an effort to save some money with a DIY solution, you still need to make sure you have quality ear pieces. One of the biggest features is the isolation provided, so by merely using consumer earbuds, you may actually be doing damage to your hearing with your DIY setup. Many people switch to IEMs or some sort of cobbled together system thinking they're saving their hearing, but end up pumping even higher sound pressure levels into their ears. Don't get me wrong: there are numerous advantages to IEMs, but there are a shocking number of pitfalls to be aware of. Despite the prevailing consensus, IEMs are not always better or easier; like most things in the audio world, it's truly a case-by-case basis. So before you think the next logical step is to get IEMs, do your research and make sure it truly is the right fit for you and your budget.